The Best Residential And Commercial Air Duct Cleaning Team In Pasadena, CA! Enjoy Clean & Healthier Air In Your Home & Business! We understand how important it is for Pasadena residents to be able to entertain friends, family, and colleagues in their homes and likewise for companies to host in their offices. One of the things that can turn a visit sour very quickly is poor indoor air quality. Given enough time, even the best maintained home or office will gather all sorts of dust and irritants that can cause damage without warning. The pollutants will gather in your air duct system and potentially cause your family, friends, colleagues, employees and guests to display signs of allergy. Long-term exposure may result in headaches, sinus issues and sleepless nights. We’ve developed our Pasadena commercial air duct cleaning services with major cultural institutions like the Jet Propulsion Laboratory and Norton Simon Museum of Art in mind. When you select our services, you’re getting great quality at an affordable price. Regardless of the size of your office we can help out with the full range of cleaning, air quality testing and repair services as necessary. 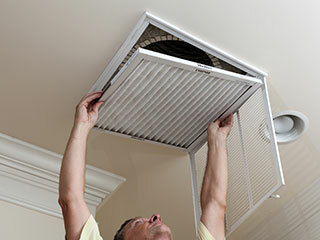 We also offer the full gamut of air duct cleaning and repair services to residential customers. When a customer informs us of a potential air quality problem, we begin with air quality testing and a full home duct clean. Whether you're a homeowner or employer of hundreds, we can help to ensure the air you breathe in every day is safe. We offer cleaning services, air testing and analysis, and everything else you need for beautiful 'soft air'. Don’t expose yourself to dirty air for another day - give us a call at Air Duct Cleaning Pasadena right away.